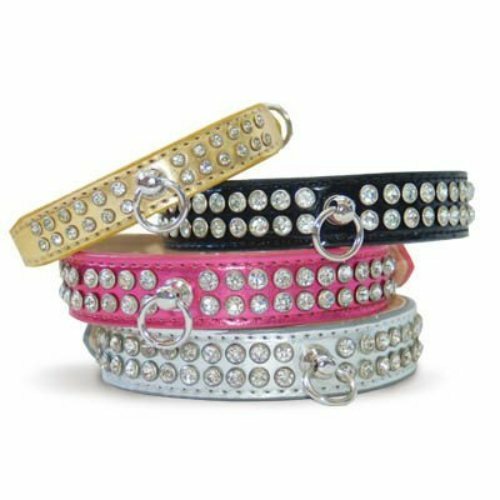 A rhinestone studded metallic collar with high-quality hardware. The Celebrity collar features a center ring for assortments of charms or tags. Choose from 4 great colors, pink, gold, silver or black.